CHITRAL: On the demand of the Kalash people, Ayun and Valleys Development Organisation (AVDP) has completed the reconstruction of Jastakhan – the hall for funeral ceremony which lasts for three days of singing and dancing around the dead body – on the occasion of their winter festival Chitramas. The project was funded by the Norwegian Embassy through Chitral Integrated Area Development Project (CIADP) in Batrik area of Bumburate valley. In a function held here the other day, CIADP managing director Azar Ayaz handed over the hall and the adjacent Malosh (worship place) to the religious leaders of Kalash community. Speaking on the occasion, Mr Ayaz said that CIADP had been taking initiatives for the preservation of Kalash culture and civilization. He said that knowledge centres had been established in all the three valleys to disseminate religious dogmas of Kalash to the younger generation. He said that a project had been launched to publish books on the Kalash culture, religious teachings, values and history for their preservation. He said that population census of Kalash people of all the three valleys was carried out for the first time, according to which their population stood at 3,800. He said that a system had been put in place to record the births and deaths to obtain an updated position of the population in future. 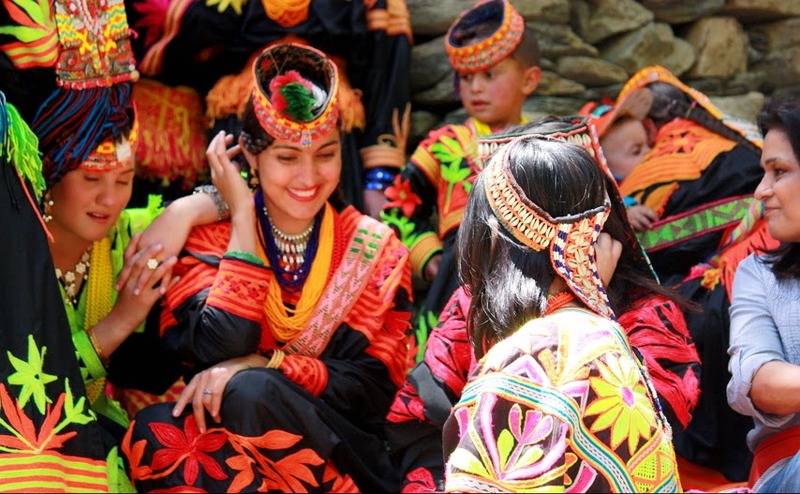 Filming of all the five Kalash festivals to preserve the culture and traditions was yet another initiative during the last four years of intervention in the Kalash valleys, said Mr Ayaz. Speaking on the occasion, the Kalash elites expressed their gratitude to the organisation for taking deep interest in the preservation of their culture. The Kalash men and women present on the occasion were served with the traditional Kalash dish ‘Joosh’ for which six goats were slaughtered.